ROAR with Tiger Beer during this football season ! Epic match viewing parties with attractive promotions and great giveaways await football buffs for the next few weeks. 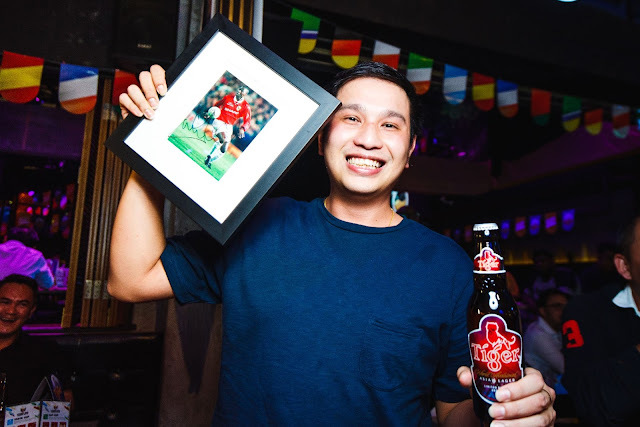 KUALA LUMPUR, 14th June 2018 — Tiger Beer, Malaysia’s No. 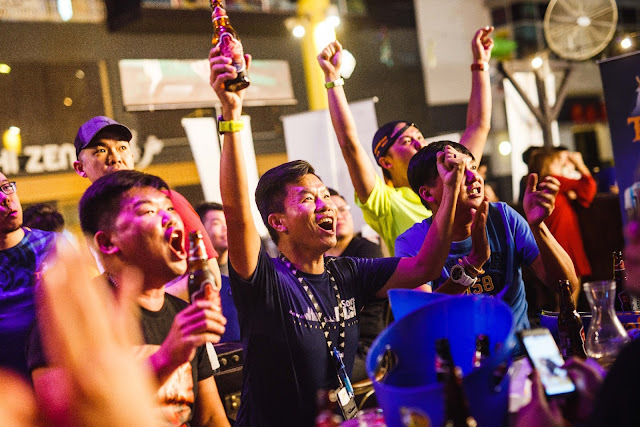 1 beer, is bringing football events to its fans in the best way possible – large screens, ice-cold beers, and great giveaways. 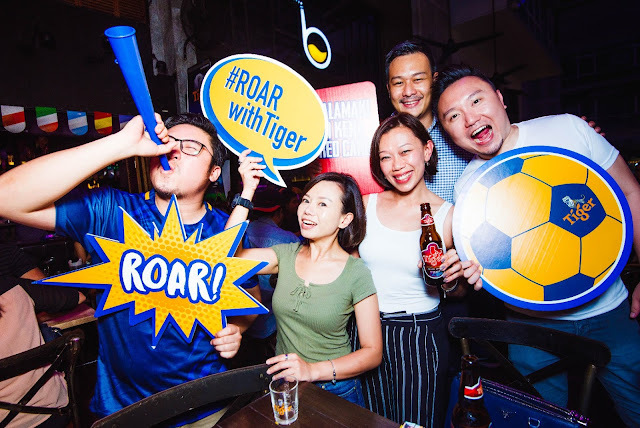 Pure excitement, adrenaline rush and loud cheers filled the air as footie enthusiasts came together with burning passion to be part of the first of Tiger Beer’s many football viewing parties at a watering hole in the city, today. Besides an opportunity to catch the match live on a gigantic LED screen, fans also enjoyed attractive promotions and on-ground activities. 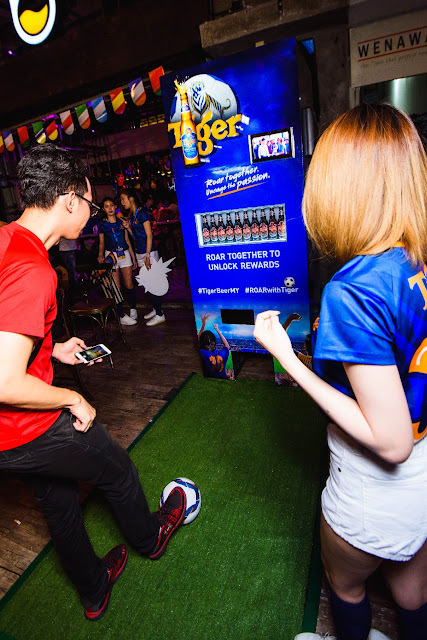 The ‘Tiger Beer ROAR Machine’, an exclusive highlight by Tiger Beer during this football tournament, was made available at the scene for fans to uncage their passion and love for the sport and got rewarded. 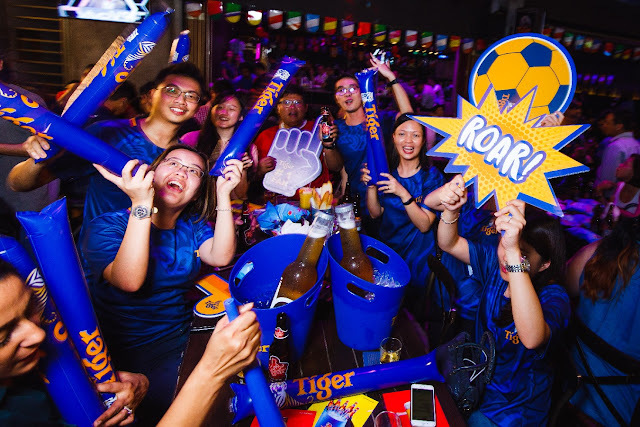 All they had to do was ‘ROAR’ to have a photo taken and uploaded on the social media, and score a goal to receive a bottle of Tiger Beer, on the house. 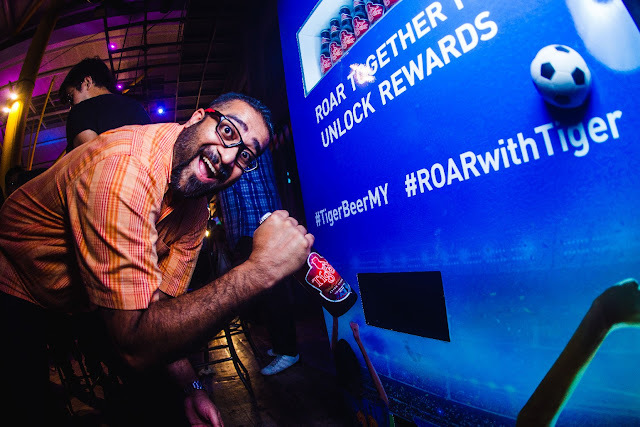 Fans were given QR codes upon each purchase of Tiger Beer to redeem some awesome gifts too. 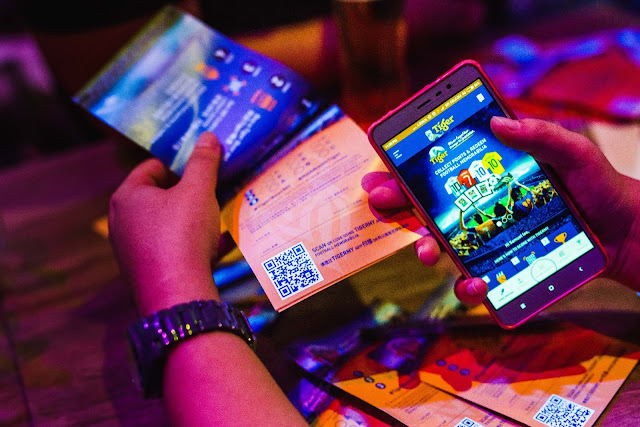 The QR codes came in handy for fans who downloaded the TigerMY application to scan and redeem hard-to-get memorabilia such as jerseys, photo frames, football boots and balls, ALL autographed by legendary football stars. 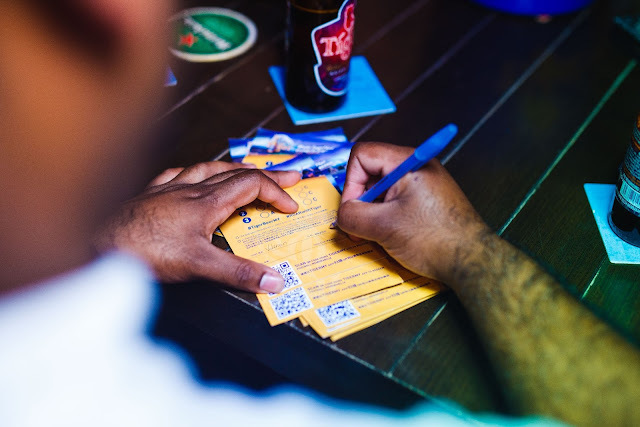 The memorabilia, among many other items, are redeemable based on the points they have accumulated throughout the football tournament. Along with the QR codes, fans also received trivia forms to participate in a short quiz during the match half-time. Footie whizzes and pundits of everything football jumped at the opportunity to participate in the quiz to walk home with exclusive Tiger Beer football jerseys and Tiger football mini fridges. “Football has always been at the core of Tiger Beer. 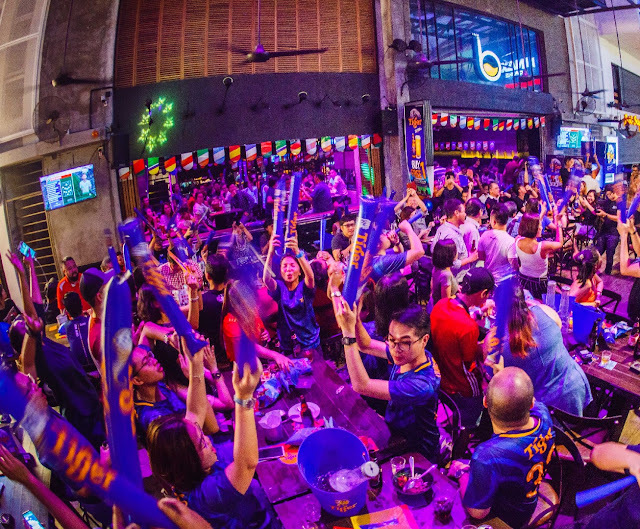 We are taking this opportunity to create a connection between fans from all walks of life with unwavering passion for football, who gather to celebrate the sport while having our brew. 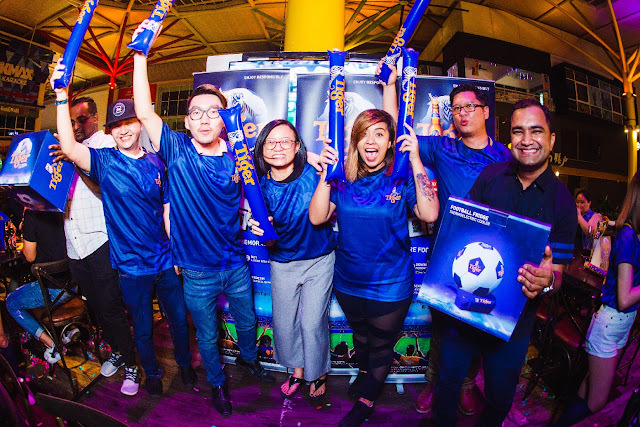 The next few weeks will be dedicated to our loyal fans who wish to be part of an epic football viewing experience while being rewarded with attractive giveaways,” said Pearly Lim, Marketing Manager of Tiger Beer Malaysia. 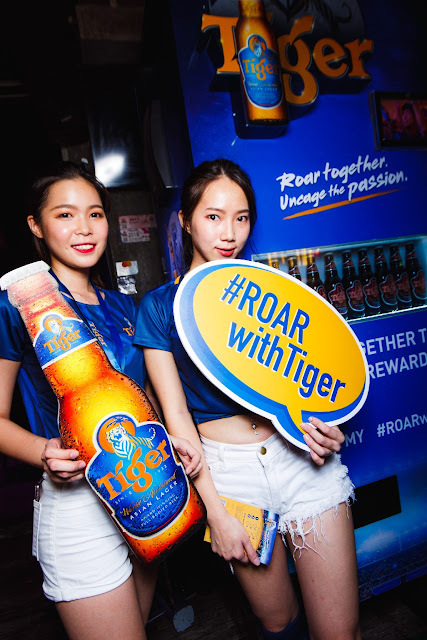 To add on to the celebration, a two-month subscription to www.dimsum.my, as well as exclusive Tiger football jerseys and mini fridges are up for grabs when consumers purchase three big bottles of Tiger Beer at participating food courts and coffee shops, or one six-can-pack at selected stores nationwide, while stocks last. Catch the football fever with Tiger Beer by logging on to www.tigerbeer.com.my/roarwithtiger for the full list of participating outlets and the month-long schedule of various football viewing parties nationwide.